Carefree condo living at its finest! 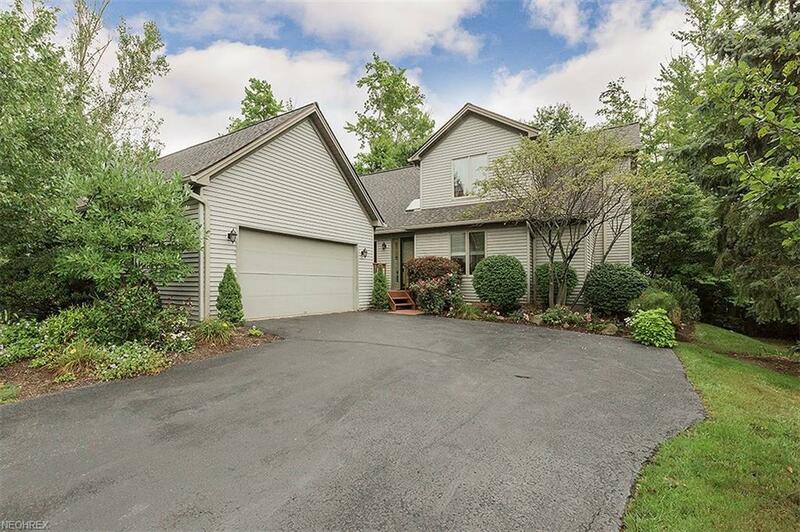 Inviting 2 story foyer opens to formal dining room and dramatic 2 story family room with skylights ('18), gorgeous hardwood floors, gas fireplace & access to private deck. 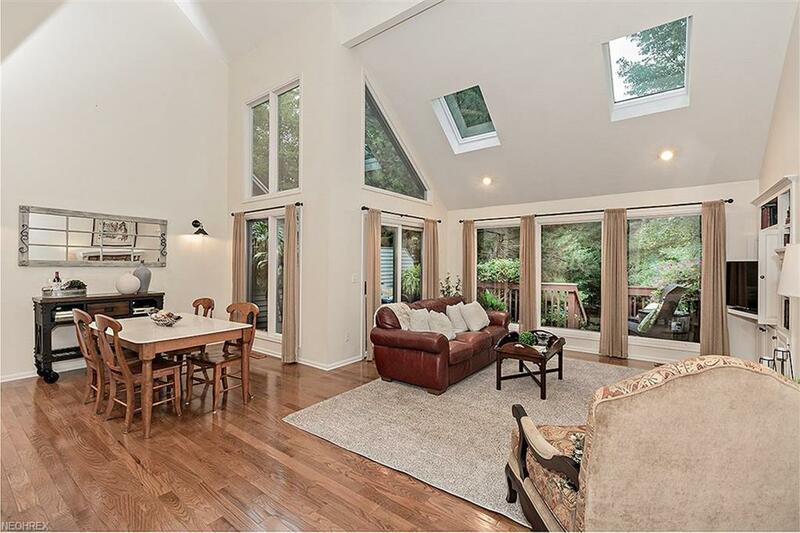 Wall of windows in the family room overlooks the private wooded lot. 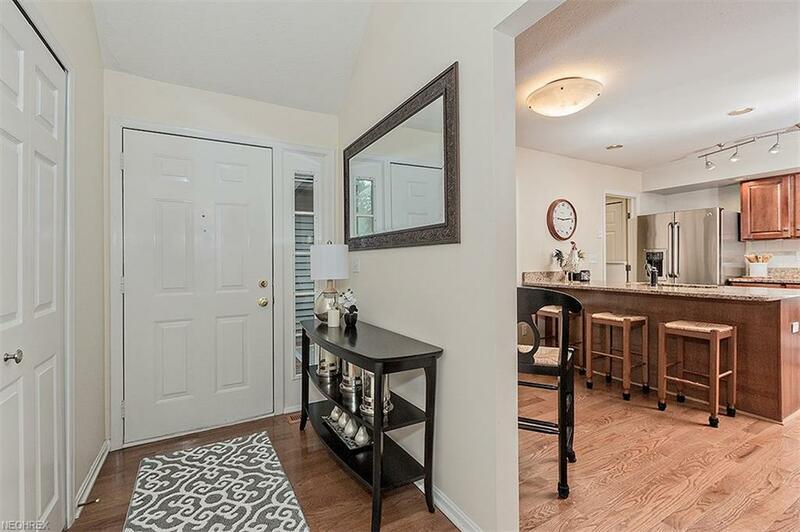 Gourmet eat-in kitchen w/ cherry cabinets, granite island, stainless appliances w/ access to first floor laundry. First floor master suite w/ enormous walk in closet & glamour bath w/ extra large soaking tub and separate stall shower. Additional 4th bd/office w/ full bath is an added bonus to the main floor. Upstairs hosts 2 bedrooms w/ full bath separated by a beautiful vaulted loft bonus space great for a study or entertaining. Finished lower level w/ a bonus granite kitchenette area! Amazing storage. Granite in all bathrooms! Furnace '17, A/C '13, Roof '17. 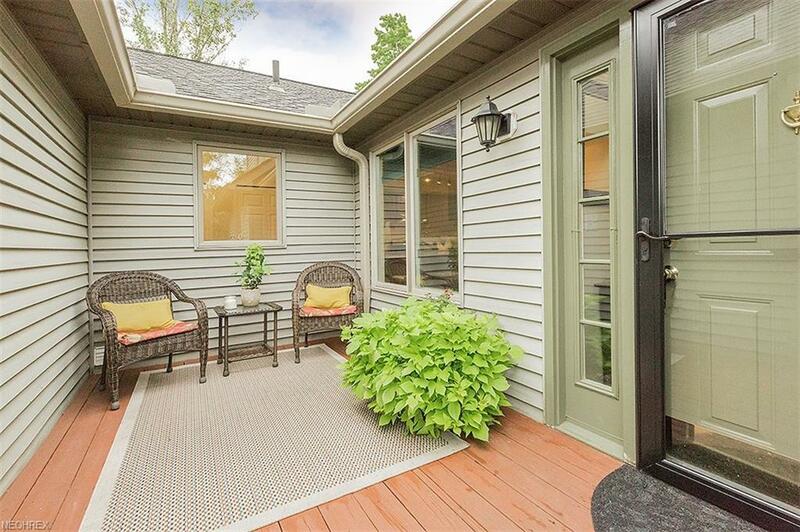 Meticulously maintained and move in ready. Was the original builders model when built now w/ todays upgrades. Enjoy all the amenities & a resort lifestyle that Auburn Lakes has to offer - pool, lake, tennis courts, playground, bocce courts just to name a few!